Youth Ministry Planning: What Is Your Past Telling You About Your Future? 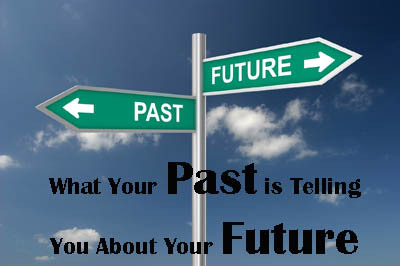 Home / Youth Ministry Planning: What Is Your Past Telling You About Your Future? I do not normally post on Saturday but Ryan Latham made me. I’m just kidding. Ryan is closing out our week on Planning posts with a challenge to look back on last year to see if we can learn from the past to forge the future. Enjoy. I just got out of a meeting where we reviewed one of the events we did this week. Before the meeting I didn’t see much need for it because the event went well and everyone was happy, but we try to always review our events, even when they go well! During the meeting we celebrated the great victory that we had and encouraged each other. We came up with some valuable improvements that will take our event to the next level; improvements that we would have missed had we not met. Here are some ideas of what to cover during review meetings. It is so important that you have the right people helping you review your ministry. Andy Stanley says that the right person my not have the “right title” and the person with the “right title” may not be the right person to be at the table. Click here to read more. This is a big picture look at the event, not a time to examine the details. Did people like the event? Why do you think these worked/didn’t work? What did you like/dislike about…? Communication is something that needs to constantly be talked about. Often times we as youth pastors feel that we are over-communicating and volunteers and students feel like we are under-communicating or are unclear about our communication. I encourage you to always talk about how to better communicate. This is a 2-3 page form that details all the action steps, important contact information, goals, and timeline for all your events. To read about making a “What It Takes” form, click here. June or July is a great time to take a two-day retreat with your key staff and/or volunteers. This is a great time of extreme focus to help you review, ask questions, set goals and gain vision for the year. There are three essential times when we review our past to prepare for our future; every June, every November, and after every event. In November we review budgets from the previous year and turn in our budget for the next year. As part of our event planning we inlcude a review meeting. This is a great time to bring out the “What It Takes” form and review and plan. Write down questions that you want to bring up when you have a leadership meeting or at your next staff retreat. Questions: What does your past tell you about your future? Do you have a SIP (System In Place) for review and planning?